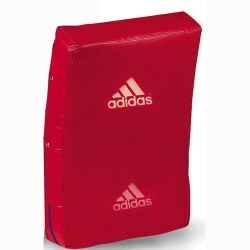 Built with a thick, shock absorbing sponge, this vinyl striking pad is the perfect partner for working on your kick training and full power blows. 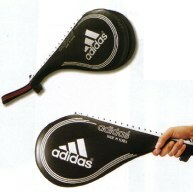 Extra thick padding is used to provide added protection for training. 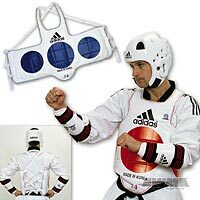 Standard equipment for sparring, these training mitts offer real protection when practicing high and low kicks. The elastic wristband offers you a sure fit.